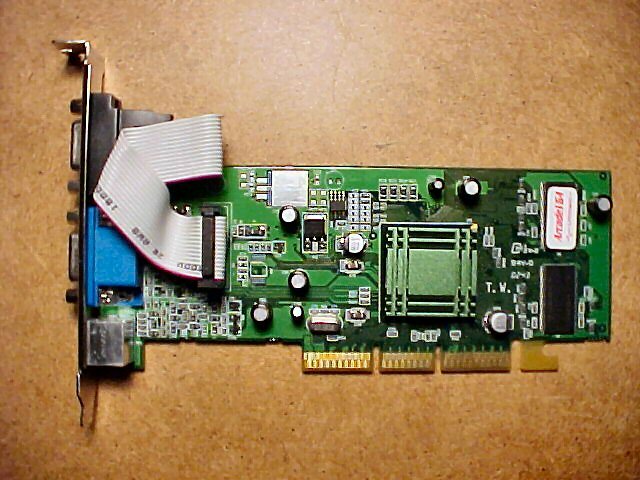 The original version of the Ultimarc ArcadeVGA video card, pictured above, was based on the ATI Radeon 7000 and was an AGP part. You can get drivers for this model at the end of this page. The current ArcadeVGA 3000 is based on the Radeon HD 2600 PRO or XT (I'm not sure which). The Ultimarc driver CD that I have is labeled ver 2.1 in the readme file. It contains drivers for the older ATI Radeon 7000 based version of the ArcadeVGA. The newest file on the CD is WinIPAC.CAB with a date/time of Monday, April 05, 2004, 8:54:08 AM. and working without needing any of the files on this CD. The WinIPAC IPD Utility is compatible with I-PAC and J-PAC boards that were shipped with this cd. It is not compatible with older boards (pre-15 Jan 2004) Or the Mini-PAC boards. The WinIPAC utility is compatible with Mini-PAC and older I-PAC and J-PAC boards. PDF versions of the website installation pages. If you have other Ultimarc driver/install CDs that I don't have, contact me and we'll try to get an image put up here.